There’s no beating around the bush – I’m simply head over heels in love with the Murchison-Hume range. I love everything about it – 100% cruelty free (an obvious requirement for me), child/pet safe (plant based), bleach/ammonia/sulphate free, and the packaging – oh the packaging! It just makes cleaning so much more fun when you get to use such fabulous looking products. (My under the sink area has never looked so stylish). I discovered the brand quite by accident while ‘killing’ a few hours wondering around the homewares section of a local Domayne store. Their product range includes a counter top surface spray, laundry products, bathroom cleaner, hand wash and cream, dishwashing liquid, floor cleaner and more. All available in two fragrances – Australian White Grapefruit and Original Fig which is my absolute favourite. 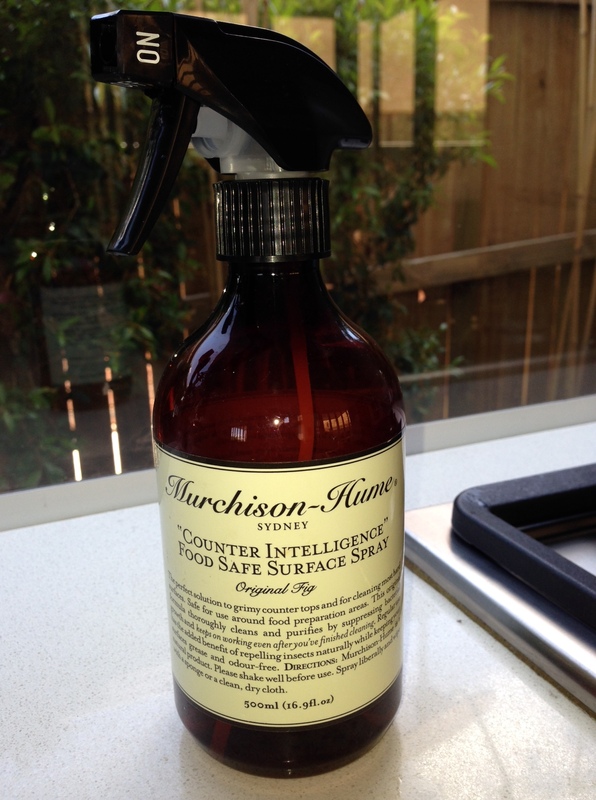 The Counter Intelligence Food Safe Surface Spray was my first purchase from the range. The spray itself is fantastic – it cleans naturally and leaves a wonderfully fresh scent in the air. My 15 year old nephew even looked up from a ‘Snapchat’ for long enough to comment on the great smell as I furiously surface sprayed around him at my kitchen bench! I’ve since seen Murchison and Hume at Myer – and found the best deals on Peters of Kensington.